We believe in continuos improvement of the digital world should enhance the real one. 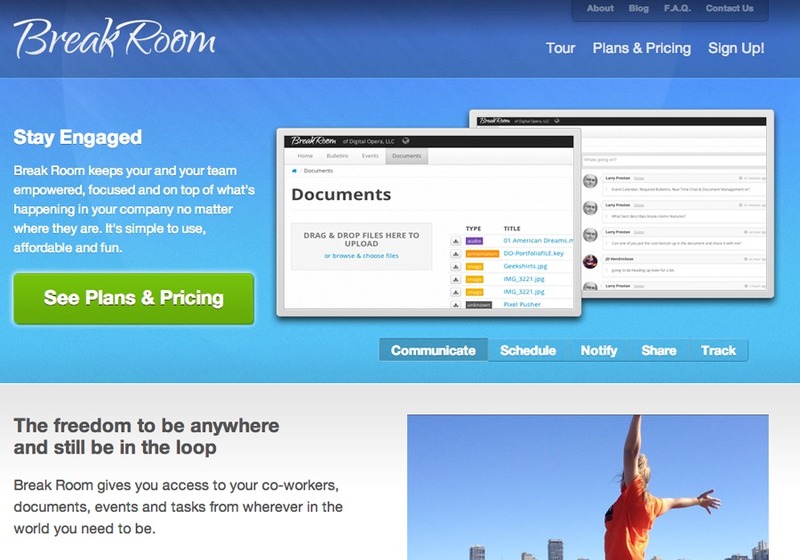 http://getbreakroom.com - Break Room is an online collaboration tool for web developers of all stripes. We built it from the ground up, as well as the marketing site for it.